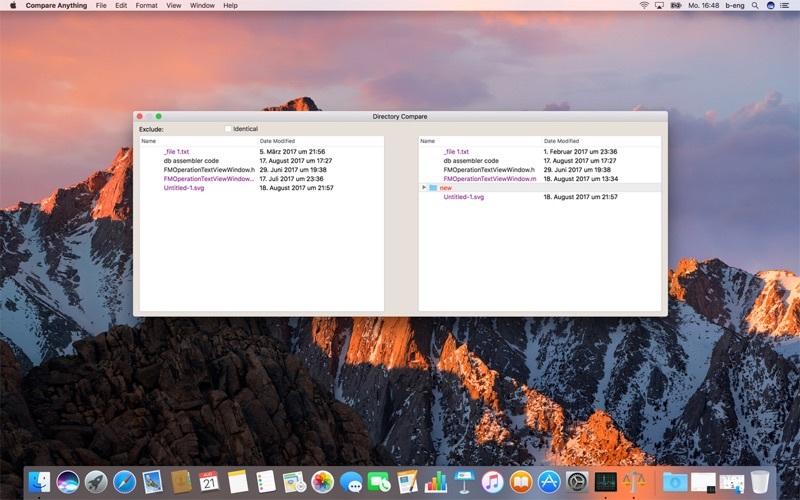 Compare anything lets you compare files or directories of any kind with just a few clicks. With just 3 buttons it is easy to use. 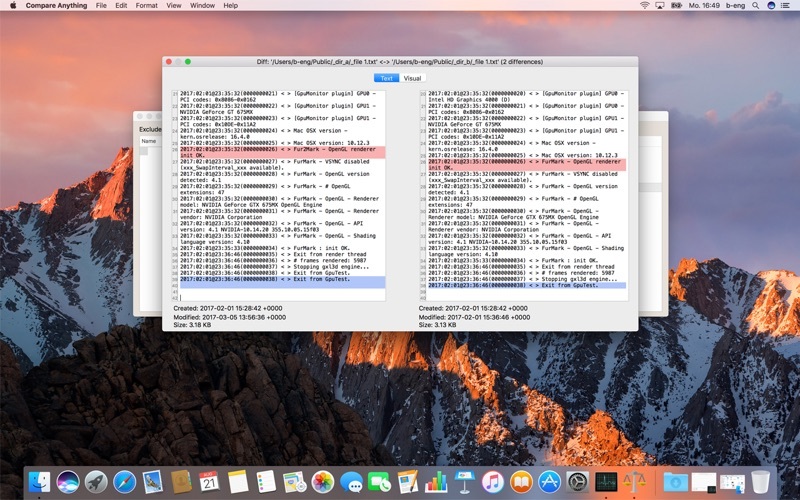 Click on the button labeled 'Left' to open Finder and choose the first file, then click the button labeled 'Right' and repeat the procedure, then click 'Compare'. The result will show up in a window, divided in left and right according to the buttons the files were assigned. Simple and easy to use and amazingly fast. 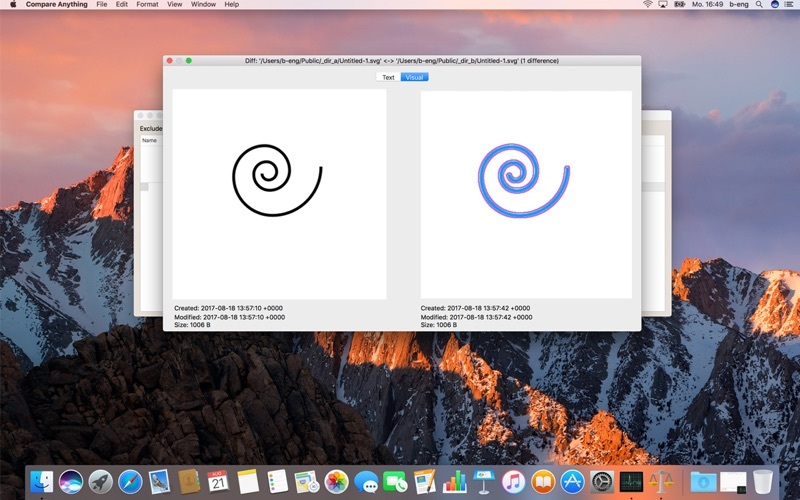 There's no better tool to quickly compare two files. In Graphic compare it compare only the first page.